A new visitor attraction at St Patrick’s Cathedral in Dublin and the development of a new whiskey museum on College Green are getting a funding boost today from Minister for Transport, Tourism & Sport Leo Varadkar. €300,000 is being allocated under Fáilte Ireland’s Capital Investment Programme for these two projects in Dublin and has been announced by Minister Varadkar. “These two city centre projects should prove a hit with tourists. St Patrick’s Cathedral gets more than 370,000 visitors every year and many of them want to learn more about the Cathedral. The new interpretative centre will tell the story of the Cathedral, and the development of Dublin,” Minister Varadkar said. “Irish distilling is world-famous and undergoing a renaissance, so the new Whiskey Museum on College Green couldn’t be more timely. It will cover all the major whiskey brands and link in with the new distilleries opening up nearby in the Liberties. Both projects should be good for businesses, retailers and jobs,” Minister Varadkar added. “Increasingly, a successful tourism destination needs to be able to tell its story and to provide opportunities for visitors to engage with that narrative. The projects announced today – as part of the Dublin Discovery Trail – allow us to do just that and contribute to our overall ambition of marketing Dublin as a ‘must-see’ and ‘must-do’ destination”. The funding will develop a new visitor and interpretative area for visitors. Surveys conducted by the Cathedral showed that visitors would like to learn more and engage with the building. The project will include touch screen facilities, animations showing how the city developed from 800AD to 1500, themed video clips on local attractions, and a detailed history of the Cathedral. A new audio visual area will play themed videos showing how the Cathedral developed within the wider city. Visitors will also be able to practice calligraphy, and try out brass rubbing, which should prove popular with some sections of the UK market. The visitor centre will put the Cathedral’s history into context with other local sites such as Christ Church Cathedral and Dublin Castle. The funding will also be used to develop a new monument in the North Transept of the Cathedral to remember all those affected by conflict. The monument will take the shape of a large barren tree surrounded by barbed wire and will be made from composed steel. Visitors will be able to leave a thought or prayer on the monument. Funding of €150,000 is being awarded for the development of a new Irish Whiskey Museum on College Green on the Dublin Discovery Trail. The museum will focus on the rise and fall of Irish Whiskey, and its current renaissance. In particular, it will tell the story and culture of Irish Whiskey and its impact on the global whiskey market, using interactive displays and guided tours. Irish Whiskey is growing again in popularity around the world, and several new whiskey distilleries have opened around Ireland in recent times. Three new distilleries are being developed in the nearby Liberties area of Dublin. The museum will incorporate all Irish Whiskey brands and the museum has received endorsements from a range of distilleries – large and small – including Diageo (Bushmills), Pernod Ricard (Jameson and Powers) and Tullamore Dew. Both projects are situated along the Dublin Discovery Trail which runs across the city from College Green to Kilmainham, and focuses on Dublin’s culture and heritage. The Trail was developed by Fáilte Ireland, Dublin City Council and other stakeholders. The Dublin Discovery Trail aims to grow tourism in Dublin using technology, new signage, wi-fi links, and dedicated branding. The goal is to give walkers an interactive, informative and enjoyable trail through the city. 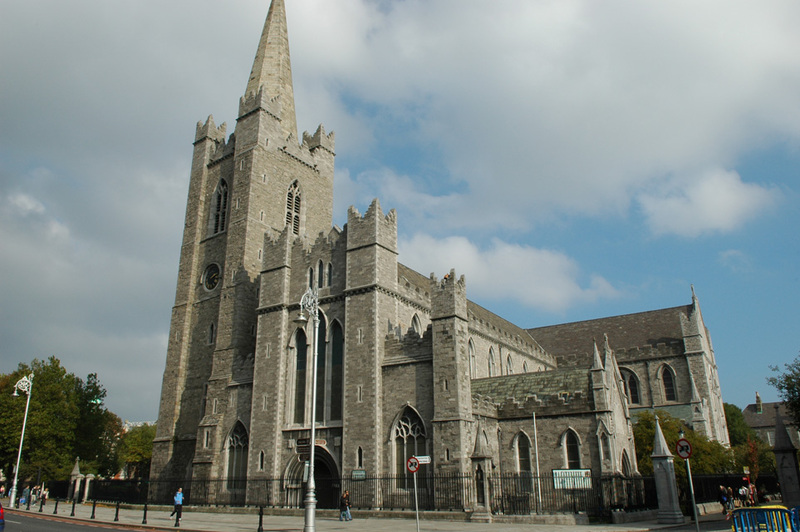 St Patrick’s Cathedral is located in an important position adjacent to the Dublin Discovery Trail route next to a cluster of visitor attractions including St Werburgh’s Church, Dublinia and Christchurch. 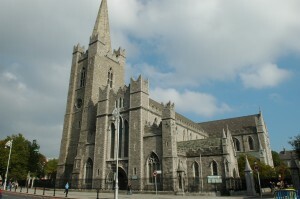 The present building dates from 1220 and is the National Cathedral of the Church of Ireland with services taking place daily. Concerts are held in the Cathedral throughout the year. In 2012 the Cathedral attracted over 370,000 visitors. The Cathedral recently undertook a €1 million conservation of the Lady Chapel at the east end of the building which included an extensive cleaning of the space including all the stone work, monuments, stained glass and floor tiles.